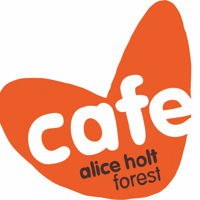 Cafe on the Green is situated in the heart of the Alice Holt forest in the beautiful county of Surrey. This ancient forest is noted for its oak trees which once supplied timber for the great British naval ships. There is something at Alice Holt for everyone, whether you are visiting to walk, cycle, picnic, or see the wildlife.The latest menu can be found here. Hot menu can only be served in the cafe. The buffet can be served in the cafe or in the classroom. Parties can be booked any day in term time, in school holidays parties can only be booked morning until 12.00 or after 3.00pm. You are welcome to bring your own birthday cake and party bags can be supplied on request for an extra cost.